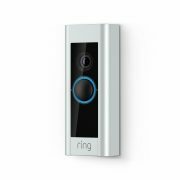 Ring Video Doorbell, the Wi-Fi-enabled Pro features Full HD 1080p video so you can see who’s at your door with clarity and detail. It also comes with advanced motion detection to keep you informed of any activity in front of your home. Walking up to your front door and seeing that delivery notice stuck there can be a frustrating feeling. It means you missed your package and now it’s on you to pick it up somewhere. Now you must carve time out of your day to collect the package. The Ring Video Doorbell Pro lets you virtually answer your door from anywhere, so you never miss that delivery again. 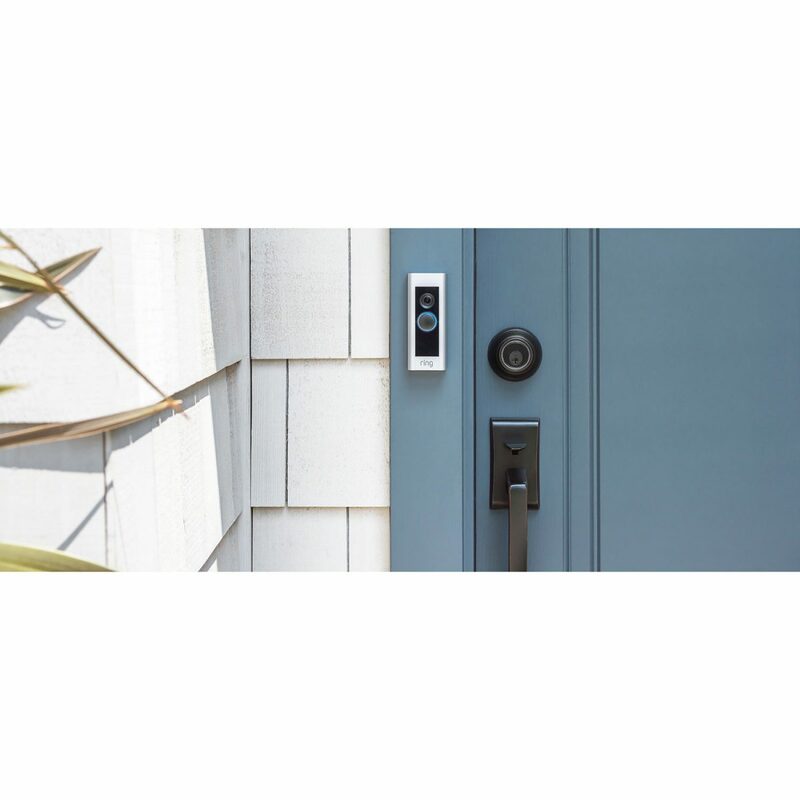 Activated by a push of your existing hardwired doorbell, the Pro lets you can view and speak to the delivery driver through your smartphone or tablet, letting him know when you’ll be back or whether to leave it with the neighbour. That’s a huge convenience. See what’s happening 24/7 with 1080p resolution for a clear, wide-angle view of your home’s entrance, thanks to infrared LED night vision. Create your own custom shaped zones to ensure you get motion detection alerts via the Ring App on your mobile device. 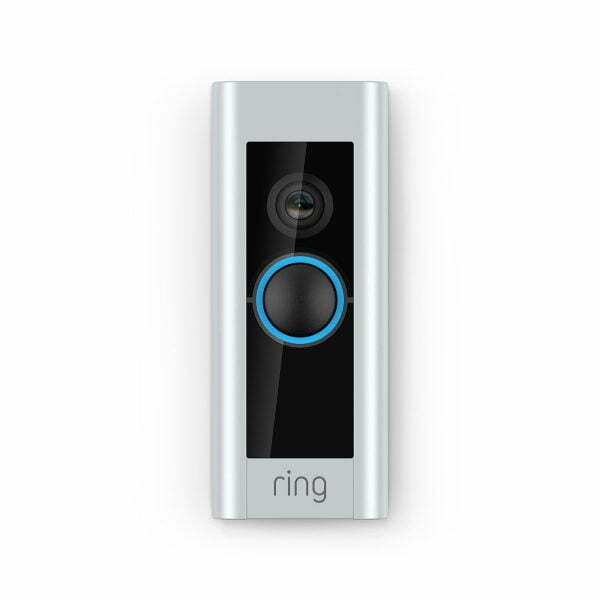 Connected to your home Wi-Fi network, it can stream live video to your compatible smartphone or tablet via the free Android Ring app — even when you’re not at home, wherever you’ve got an internet connection. 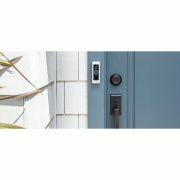 Choose from a set of different finished faceplates included, so that you can custom fit the Pro to your home’s entrance. Hear what’s happening and be heard clearly, with a microphone featuring echo cancellation and 2 configurable speakers. All tools are included to mount the Ring in just minutes. Then just use the Ring app to connect to your Wi-Fi network.